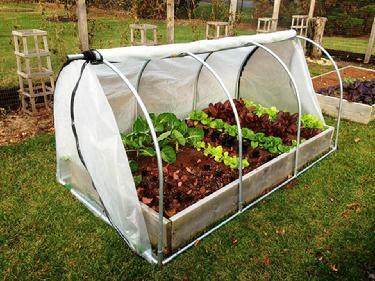 Our simple & durable Gutter Connect design offers the diy greenhouse builder an economical way to enclose large areas with strong durable structures for fraction of the huge factory made greenhouses. This is a midsize 16 ft wide bay that is easily connected to adjacent bays to build as wide a structure as you need, 20 ft. wide bays can also be built in this design, however the 1 3/8" fence tubing is strongly advised for the hoops in 20 ft bay structures. Typically the post are 6 feet tall but 8 ft. post are doable in this design. Center height is typically 11 ft. when using 6' post. This style can also be built using 4"X4" wood post. The best feature for the 16 ft. bay is the less costly 1" emt can be substituted and used for these hoops without any serious loss of structural strength. 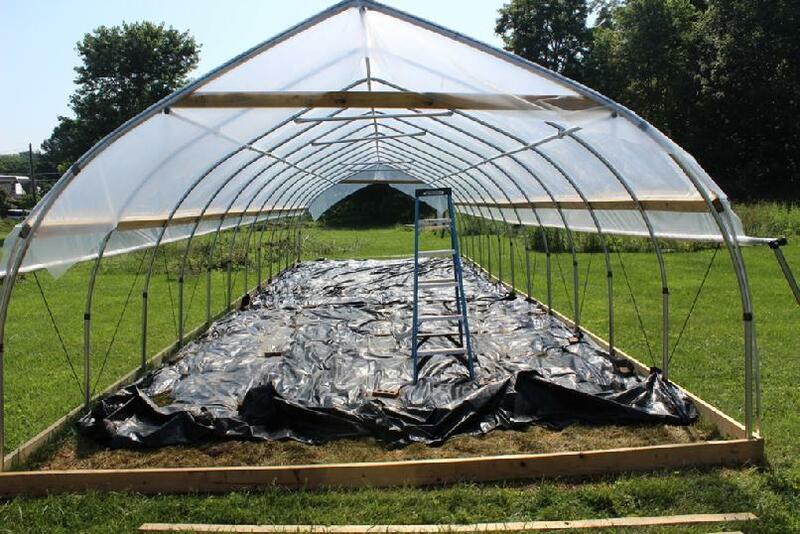 Our Original Hoop Bending Tools & Compound Gothic first introduces in 2010, proves it is possible to build gothic greenhouses for less than other gothic designs. The video below is one of our customer's. He has produced this well done video demostrating the speed and ease of bending 24 ft wide high tunnel hoops using our Model C-24 hoop bender mounted to our optional vertical leg adapter kit. A new innovation from our company, this verticial leg kit allows the user to quickly change between different size C- series bending heads in under a minute. Loosen two bolts, remove the C-24 head and install a C-12 or C-20 bending head fast.. 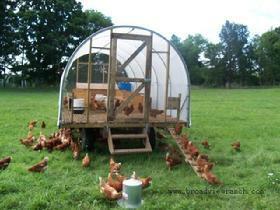 Customer built mobile chicken house, 10 ft wide hoop house bolted to a trailer. Customer built chicken tractor using our connector kit. Customer built 20X60 In upper MI.